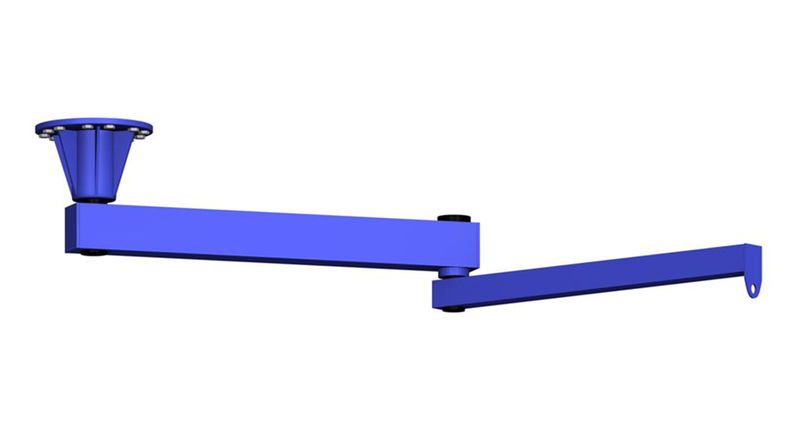 Ceiling mounted jib cranes provide a unique lifting application. 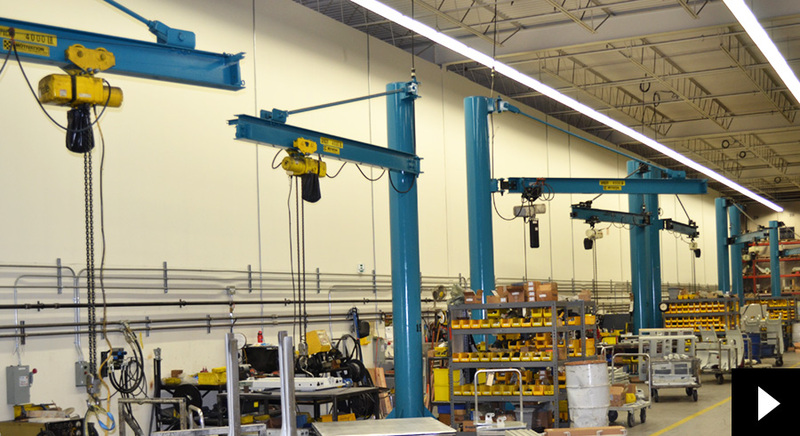 Saving on floor space, these cranes can be stationary mounted or attached to a platform that will allow the service of multiple work stations within your facility. Additional electronic, air and vacuum lifting attachments are available for all jibs. If your operation requires a size or capacity that exceeds what is available, please complete a quote request or call in to one of our technical representatives. Custom sizes may be available.